Beautiful kitchen wall clock handmade from wood and hand painted. This amazing timepiece is another member of our skeleton collection. It displays wooden Roman Numerals on transparent background. 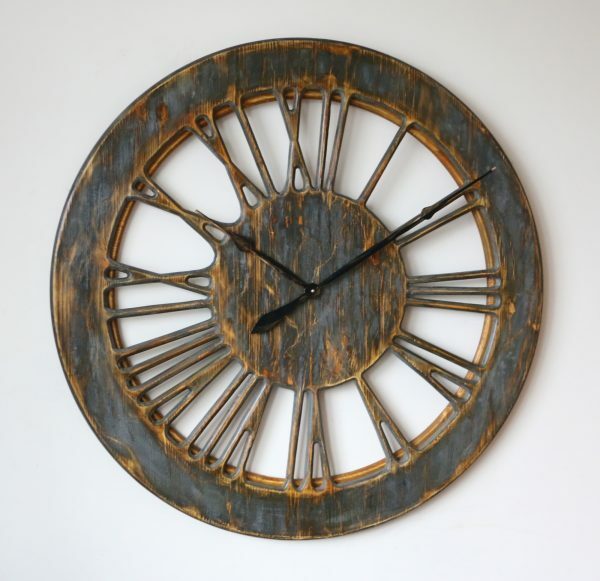 Many people looking for a large kitchen wall clock chose skeleton design because it looks light and three dimensional. We can make it in three different sizes depending on your available wall space. Simply select the required diameter from the drop down list. 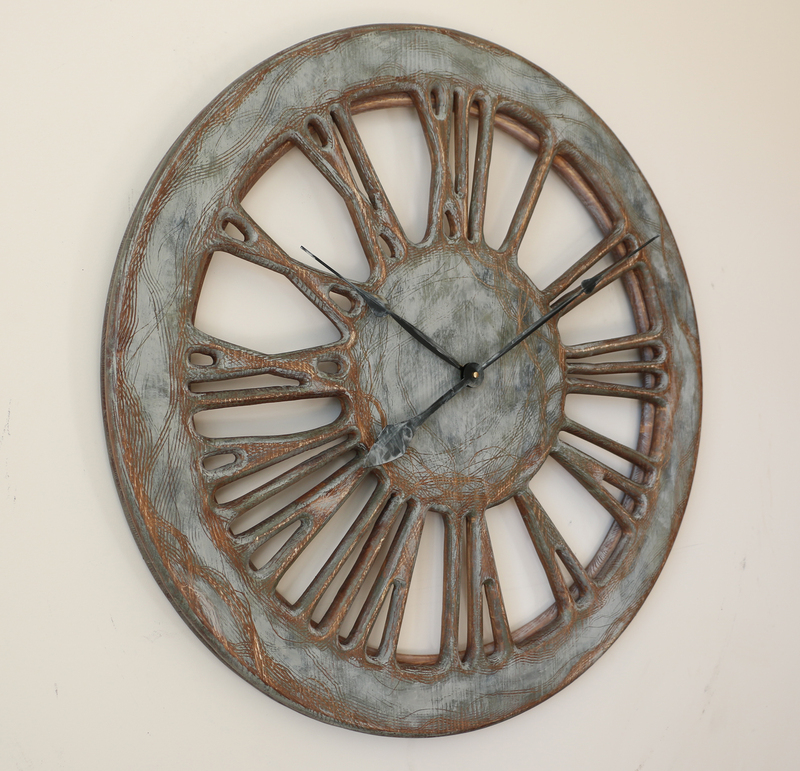 Let us introduce this remarkable kitchen wall clock that we designed based on one of our customer’s photographs. Like many other skeleton clocks with roman numerals, this stunning timepiece looks light and three dimensional. 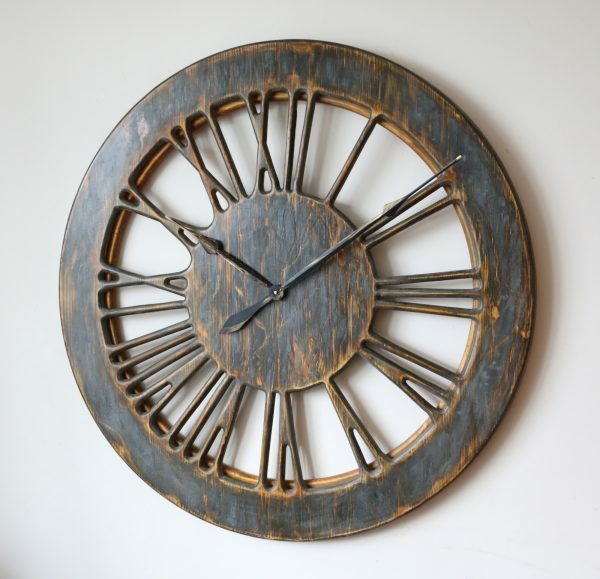 The clock face is painted similar to graphite skeleton wall clock but exposes more wood and has shabby look. Custom designed wall clocks to fit our client needs are at the heart of what we do. Peak Art don’t deliver template solutions to fill this large empty space on your wall. 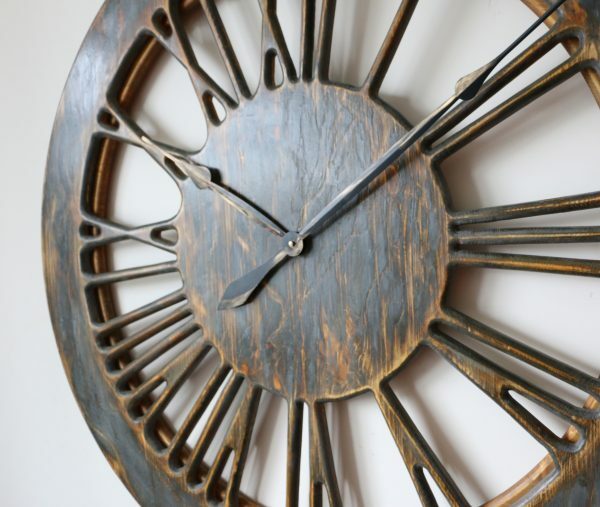 We strive to make sure that each wall clock is unique and fits individual requirements. 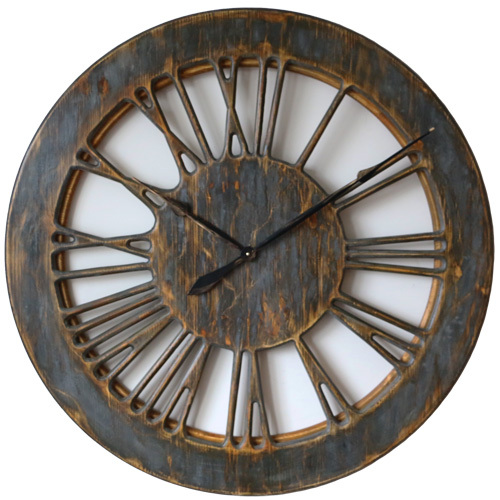 If you are looking for a large kitchen wall clock to impress your friends or guests you no longer have to chose from identical mass produced items. This wonderful decorative timepiece is made of pine wood and hand painted. When you have a closer look the stunning craftsmanship is evident. Before we send the clock we always detach both hands to avoid any damage in transport. We also provide two C-Cell batteries to power up the silent clock mechanism. You will receive full instructions explaining how to attach the hands and set the time. There are many companies out there that are mass producing large clocks for your kitchen. All of those companies have only single thing that differentiate them – the price. Mass produced wall clocks are lacking uniqueness and character. When the main objective is to undercut your competition you need to cut corners. At Peak Art we have alternative approach and don’t concentrate on volume but quality. Each of our wall clocks is more than just time telling device. 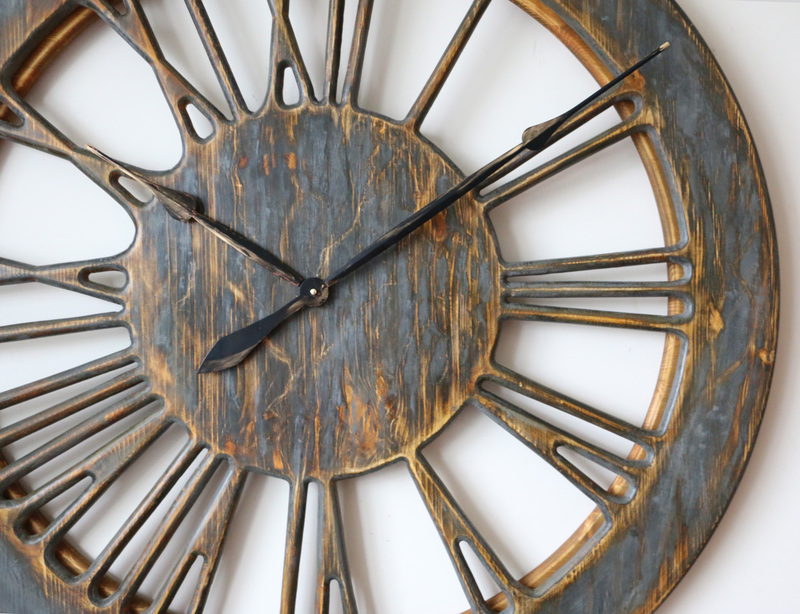 Sure, clocks are practical but if you are looking for something different that will also add character to your room, Peak Art is leading this niche market. Please join us on Facebook to share your views and comments.